With all the responsibilities we have as adults it is all too easy to get wrapped up in the stress of the day and miss out on the things we appreciate in this world. When a patient is overwhelmed with their environment it is helpful to remind them to focus on things that they appreciate because it brings them back to their center, reminds them that there are forces bigger than themselves, and that not all of the pressure has to fall on them. This is a gratitude journal. 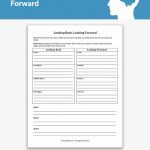 Patients are asked to record and reflect on something happy or positive that they would normally gloss over in the course of the day. For example, someone who is crunching numbers all day in the office may decide to make it a point to read a comic with their lunch to lighten their mood before returning to their work. These little things can make a huge difference in their overall mood and stress levels! 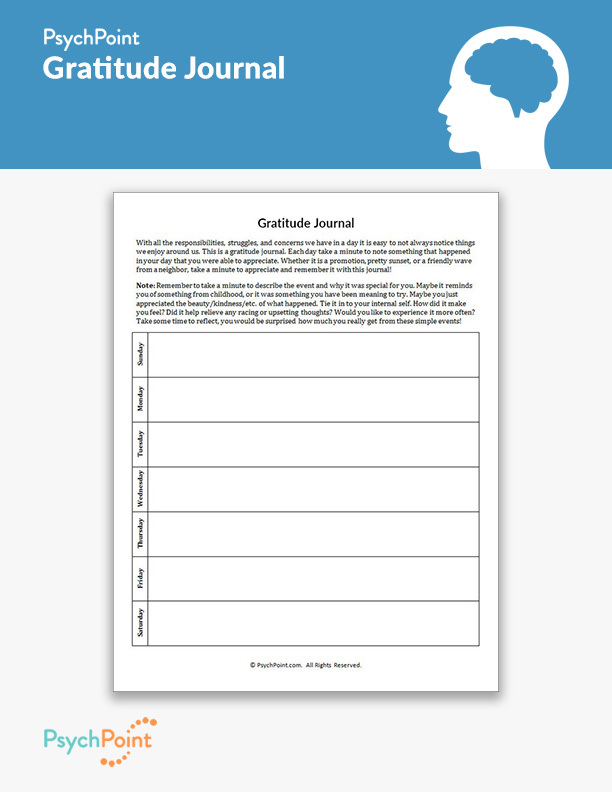 The gratitude journal asks the patient to take a minute to appreciate something in their day and write about how it made him or her feel. 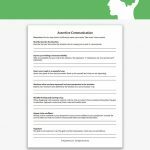 This is an excellent exercise to help patients who suffer from mood and anxiety disorders to develop a habit of falling into a happy internal space with the help of external influence.